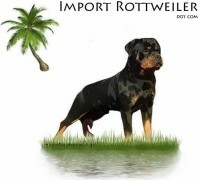 Welcome to the internet home of Von Warterr Rottweilers. 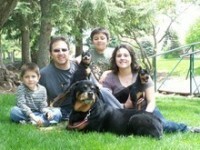 We are located in Quinlan, Texas. 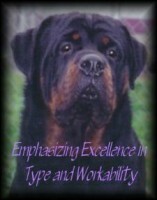 We are Warren and Terri Johnson and we are code of ethics breeders. 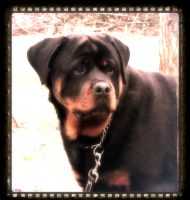 Our kennel name, “Warterr”, is pronounced “War-Tair” and is derived from the first part of my name (Warren) and my wife’s name (Terri). 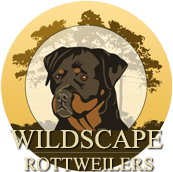 Our partner and kennel manager is Jerry Scott. 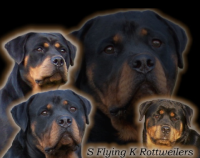 We are members of the Rottweiler Klub of North America (RKNA) and the Texas Rottweiler Klub (TRK) of which I serve as president. 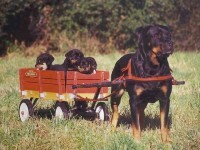 We purchased our first Rottweiler puppy in the spring of 1991. 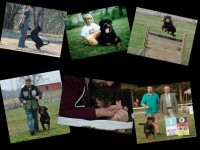 Since then the Rottweiler has been our passionate hobby. 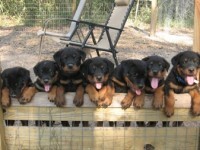 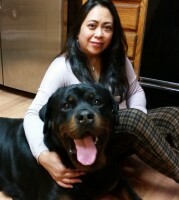 We are Rottweiler breeders first and foremost for ourselves and then for others who have an interest in owning a Von Warterr Rottweiler.